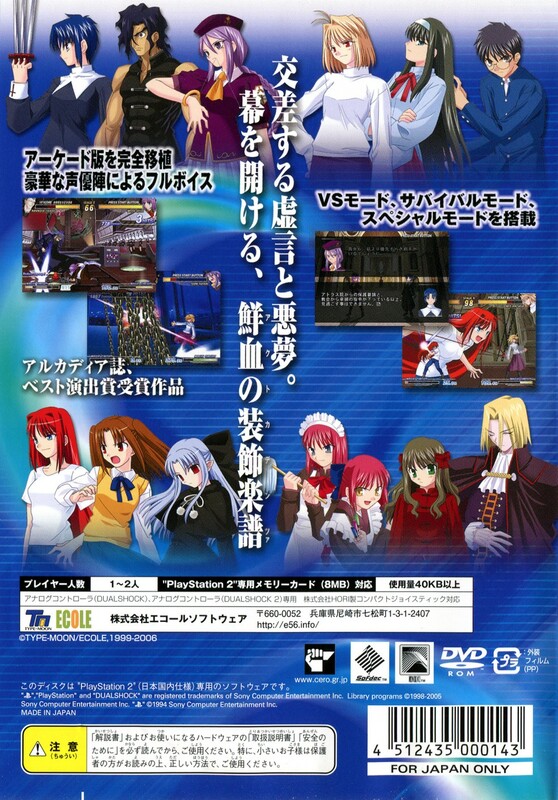 Direct to you, courtesy of Ecole Software, better known as the creators of legendary kusoge Death Crimson, comes this nonsensically-named dojin spinoff turned commercial release fighting game. 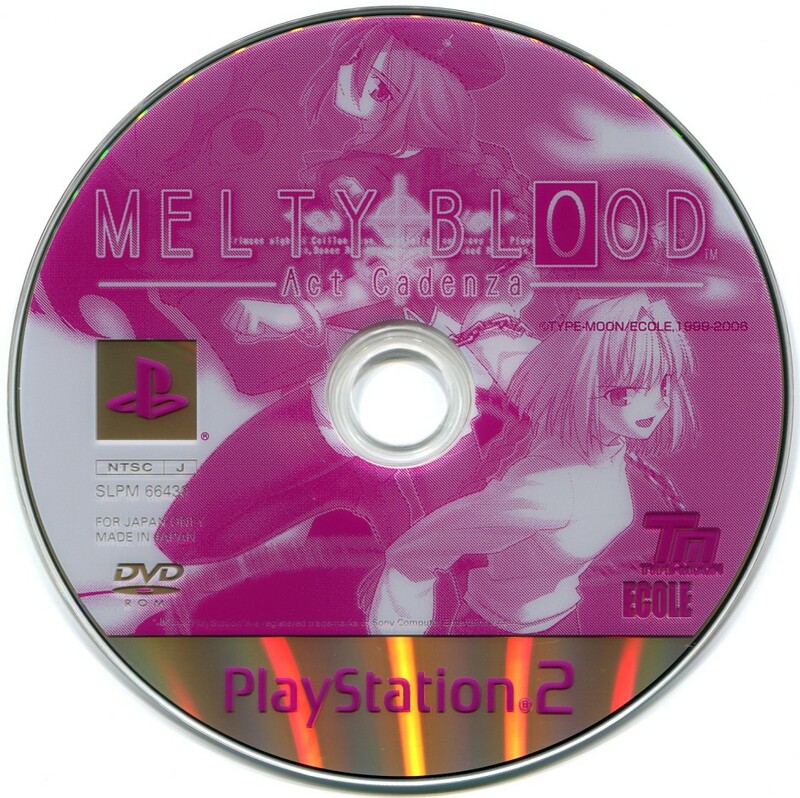 The first of two Melty Blood games on the PS2. Somewhat bland-looking compared to SNK's or Arcsys' titles, but still perfectly serviceable. Not much to say about this one other than "hey, it's a 2D fighter!" 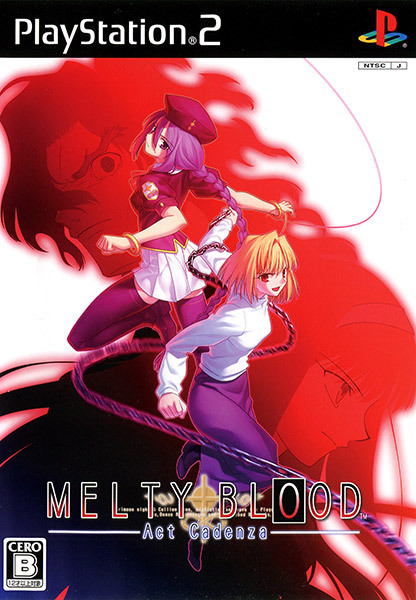 Didn't hold interest for long when playing it 2P versus, in any event.